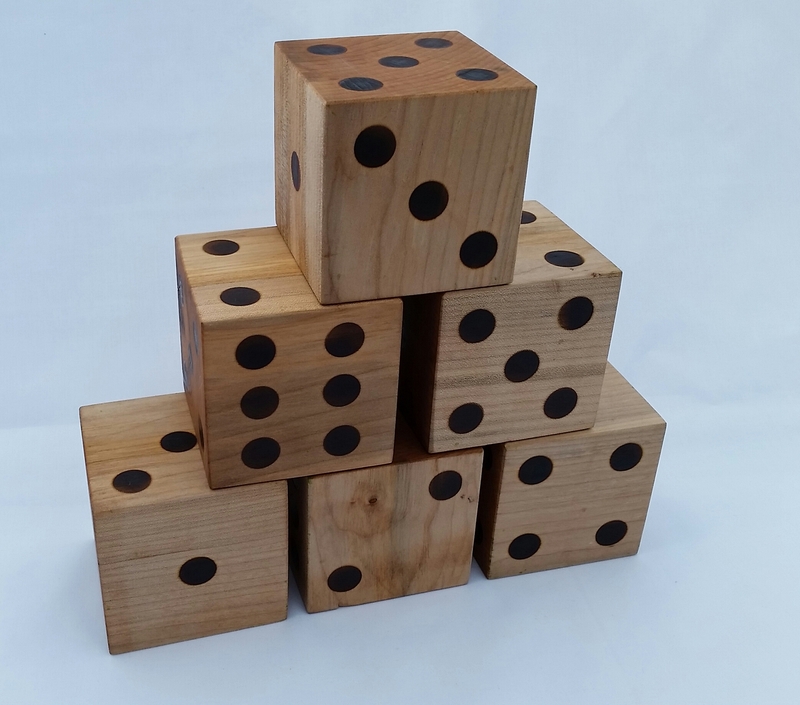 Bring friends and family together with our larger-than-life dice sets. 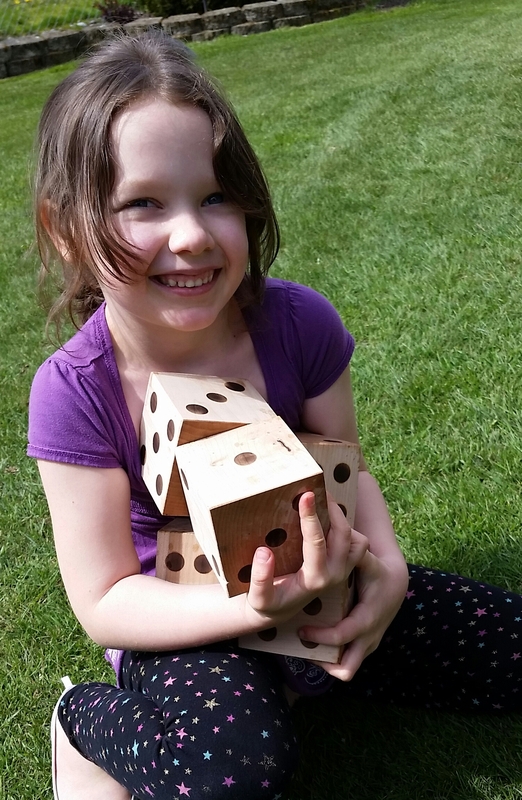 Perfect for the beach, a picnic, or just at home, these giant dominoes are a fun addition to any outdoor game time. Each set is handcrafted from solid maple. 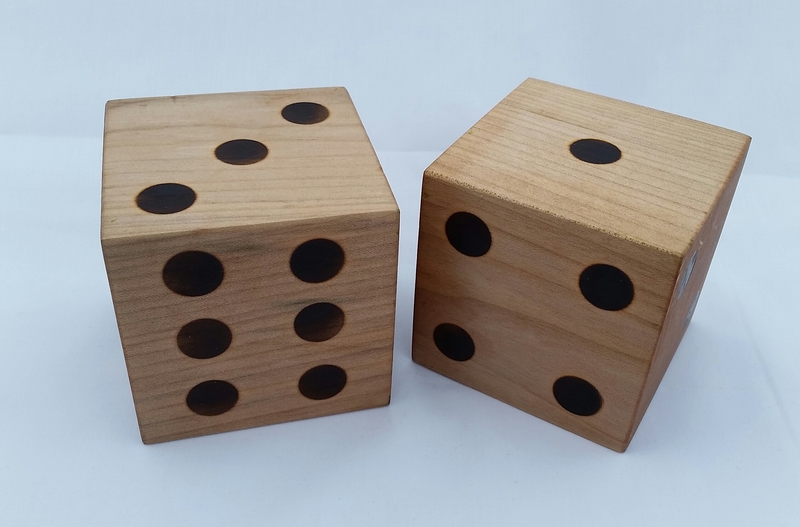 Each yard die has stickered pips and is finished with gloss lacquer to create a lawn game that will last through years of outdoor play. Each set comes in a muslin drawstring bag, includes your chosen amount of dice and Dice game instructions. Each die measures 3 1/2" x 3 1/2" x 3 1/2"
Includes drawstring muslin bag for storage. a drawstring muslin storage bag. Care Instructions: Wipe with water and mild detergent when needed. Do not store outside.